Hughes River Expeditions is taking reservations for 2019. Check with the HRE office if we can be of help. Call us today 800-262-1882 or contact us online. 2019 will be the 43rd year Jerry & Carole have owned and operated Hughes River Expeditions, Inc. as a family business. * Trips with the possibility to Charter for exclusivity! + Middle Fork Salmon “Cast & Blast” trips. Fly Fish for native Westslope-Cutthroat Trout & hunt Chukar Partridge. September dates after September 2 will be available after October 15 based on a US Forest Service lottery. Recreation Enhancement Act Fee requires collection of $4/day/person. This fee will be added to the above listed trip cost. 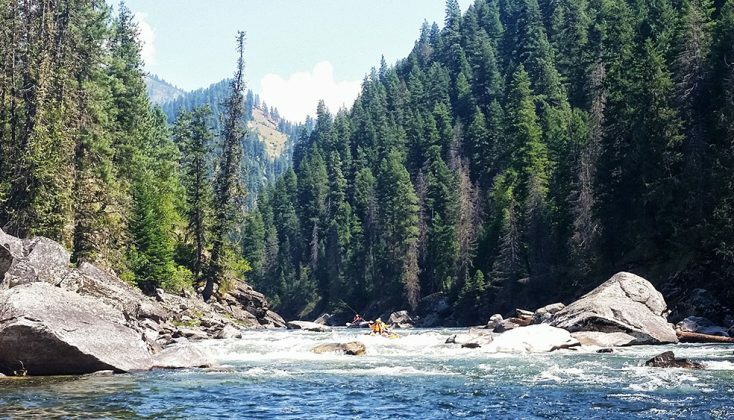 Flight Cost from Stanley to the Middle Fork is about $125/person when required by road, weather, and water conditions. Check with our office for exact flight cost at time of booking. 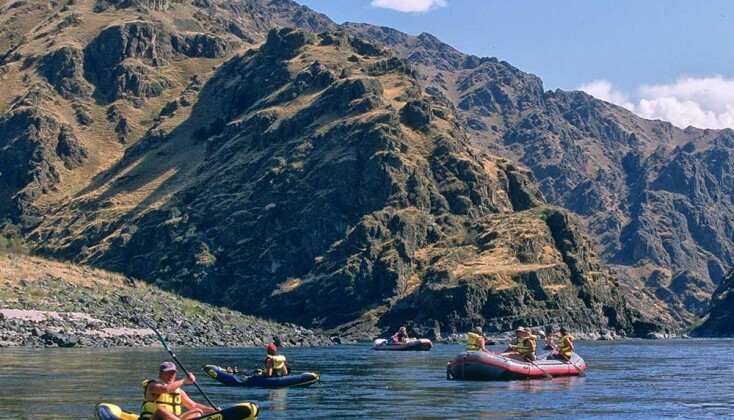 + Salmon River Canyons “Cast & Blast” trips. Fish for Small Mouth Bass and Rainbow Trout & hunt for Chukar Partridge. Booking “Cast & Blast” trips you will be booking a boat. That is 2 sportsmen+guide/boat. The “Cast & Blast” trips are an additional $800.00/person. 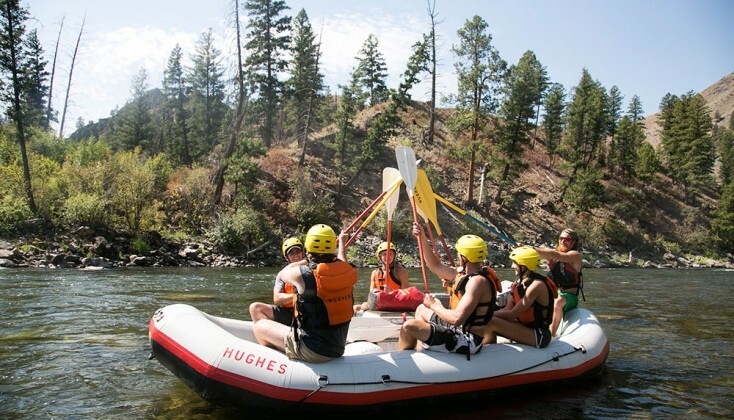 Rates include jet boat from below Confluence of Salmon and Snake Rivers to Hells Gate State Park in Lewiston. Salmon Canyons trips are normally planned for 5 days/4 nights. Check with the Hughes Office for 4 day trip information. Groups can arrange custom dates. Contact us for details.